With the 'Order Contents' module, you can quickly see which products your customers are ordering in real time without having to visit order detail screens. Analyze buying patterns as they happen and quickly react to today's emerging sales trends. Note that this module focuses on products, not customers. Since Miva already provides text-based order history, this module doesn't display certain order details like customer name and email. Instead, 'Order Contents' focuses on showing you what products are selling right now with the ability to visually browse your entire order history at any time. 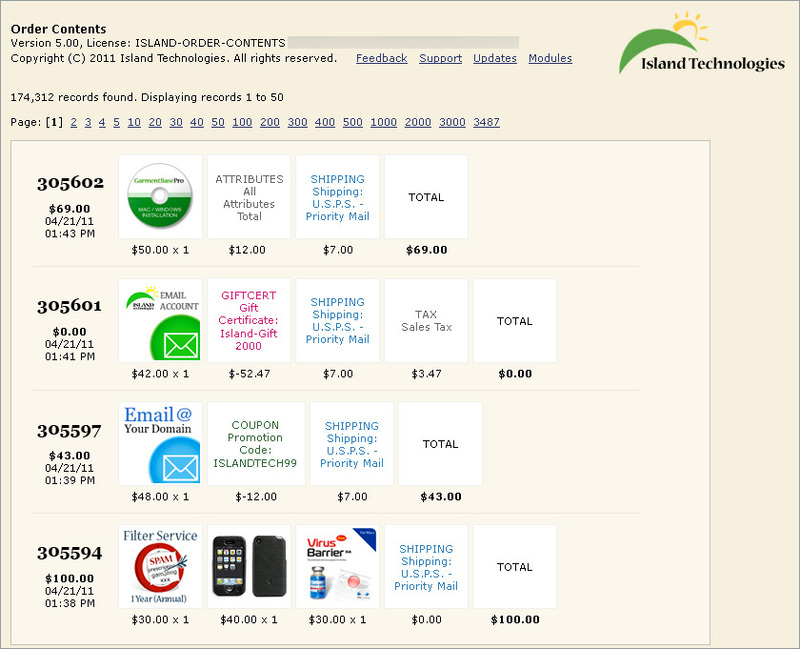 Now showing Order Attribute totals! Determine today's popular products so you can display them on the homepage or category pages of your site. See if customers are using a promo code from your email campaigns or offsite promotion. Measure demand for recently-launched products. See which product combinations people are buying. Do your customers often buy two products together? Add a cart upsell to promote a popular product combination. Identify orders with product attribute line items. Thumbnails must be specified in the Miva product edit screen in order to appear within this module. Products with no images will simply display the product name.